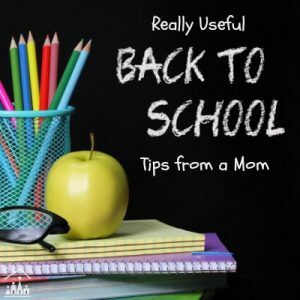 The kids have been getting along great on their play date, but then they start to run out of playtime ideas, tiredness starts to creep in or worst case scenario they fall out and somebody wants to go home early! 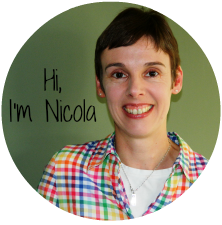 What do you do then to get things back on track until collection time? I like to have a list of Play Date Activities to hand, so that I can step in with a suggestion to distract them. And to ensure the other mum gets their well deserved break (and my kids get a return invite). With 3 kids in the house we are hosting play dates most weeks now. While in the main my boys are happy to play with Lego or go outdoors for a soccer match with their friends, sometimes things don’t go to plan. Their soccer mad friend comes over and it’s pouring with rain (a common occurrence over here in Ireland unfortunately) so boredom starts to set in and things either go very quiet or they start to go a bit wild jumping around indoors. 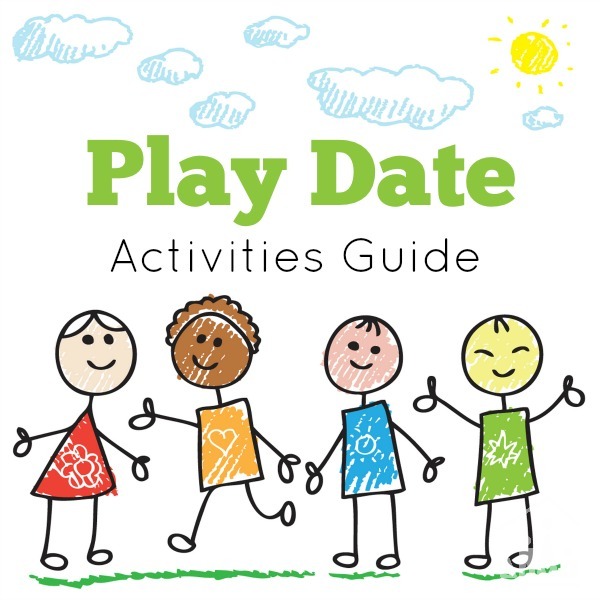 This is the time you need to be able to step in with a play date activity suggestion. 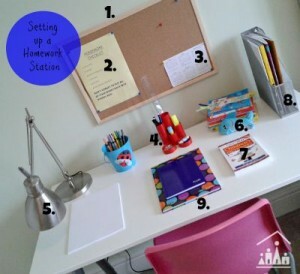 Something that they can all do together and something that you can quickly and easily set up for them. My daughter is only 3 so when she has friends over to play it works much better if we have a few structured activities planned. PLAY DOUGH is a firm play date activity favourite around here. Why not try this 2 Ingredient Nutella Play Dough recipe from 3 Princesses One Dude or our set up this Colourful Critters Play Dough Invitation from Playdough and Popsicles. GET CREATIVE with this Collage Activity from Clares Tots or set up our Simple Tape Resist Painting activity. BAKING Crafy Mama in Me show you how to plan a Cookie Decorating Play Date. GAMES Have game of Larabee UK’s Loo Roll Golf or play one of Teach Me Mommy’s Ball of String activities. MUSIC put on some music and have a disco. 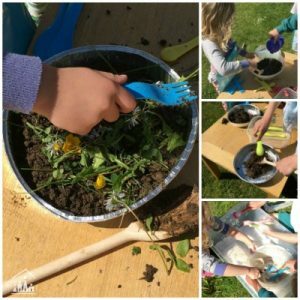 Sensory play is one of our favourite play date activities to do. Getting your hands stuck into a ball of play dough, having fun blowing bubbles or playing with water are sure to soothe any tired or frustrated kids. 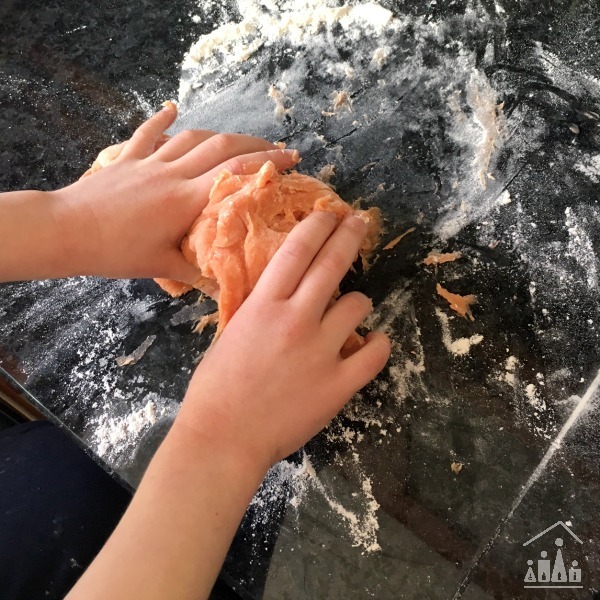 We love to make our own sensory doughs to play with at home and we have had Jelly Dough on our list for ages. We finally got to try it out on a play date last week. Once made you keep it in the fridge, so it is perfect to bring out at the last minute, add in a few more supplies and you have an activity ready to go. 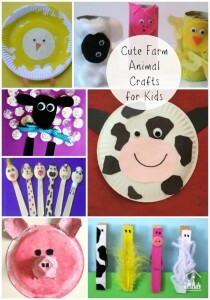 Recipe taken from Get Crafty: Fun Creative Crafts for Children by Ali Coghlan. For your chance to win a copy of this book down the end of this post. Combine all the ingredients(expect the jelly powder) together in a pan over a medium heat and keep stirring until it forms a nice smooth dough. Add in the jelly powder and keep stirring again until the dough forms a ball. Place the dough onto a lightly floured surface and give it a gentle knead until it reaches a nice consistency. It smelt delicious as I was cooking it and I knew the kids were going to love playing it. Once it’s done you pop it into the fridge to keep it fresh and this helps to make it feel even more like jelly. 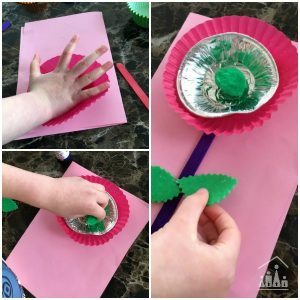 You could then just put out a selection of cookie cutters and rolling pins for the kids to play with or set up an themed Invitaiton to make activity like we did. We have a birthday in the house soon, so a birthday theme is a popular choice in some of our activities right now. 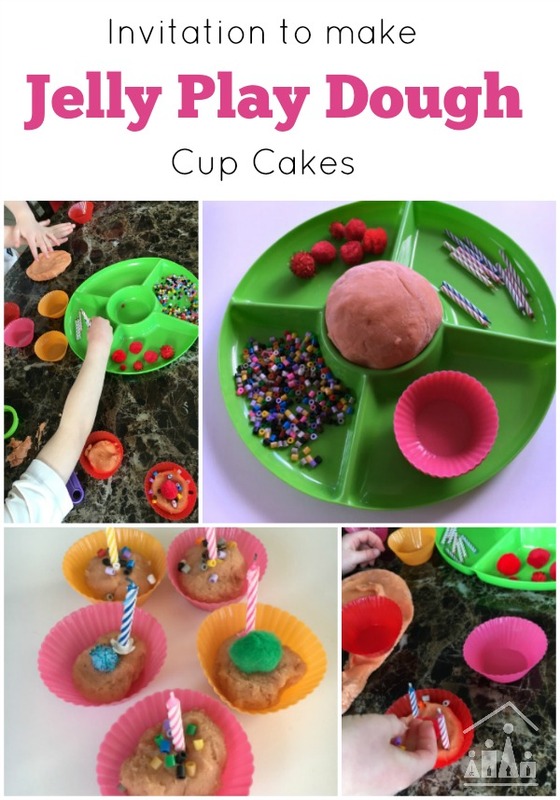 I loaded up our very handy chip and dip tray with silicone baking cases, hama beads, candles and pom-poms (for the cherry on top of course) and invited the kids to make some Jelly Play Dough Cupcakes on a recent after school play date. 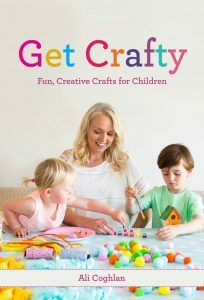 Get Crafty: Fun Creative Crafts for Children by Ali Coghlan is packed full of more than 40 simple and inexpensive arts and crafts activities for kids of all ages. 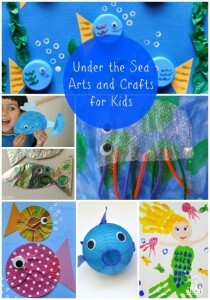 It is your go-to guide for things to do on a rainy day or for when you are hosting a play date. 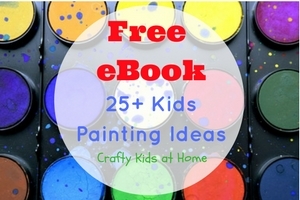 Filled with classic recipes for different doughs and paints, ideas for pretend play, things to make for a birthday party and activities for all the major holidays.